Terrorist group ISIS and the Ebola virus grabbed their share of headlines this year, but according to Microsoft search engine Bing, neither can compete with the power of World Cup soccer. 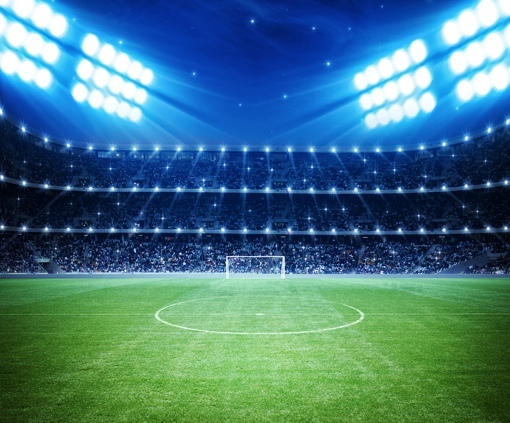 Bing has once again released its annual list of the search trends of 2014, and this year’s World Cup tournament is on the very top of the list. The Seattle Seahawks’ 43-8 drubbing of the Denver Broncos in Super Bowl XLVIII is the second biggest story of the year, with the lost Malaysia Airlines jet coming in third. The most searched for celebrity of 2014 is reality TV star Kim Kardashian. It’s indisputably been a big year for the controversial figure – she married singer Kanye West in May and released an incredibly popular tongue-in-cheek iPhone game (that I, admittedly, briefly played and enjoyed). Last year’s top celebrity Beyoncé, meanwhile, has slipped to number two. Funnyman Robin Williams tops Bing’s search list of “people we lost,” followed closely behind by groundbreaking female comedienne Joan Rivers. Want even more insight into the year that was? Bing has data on all the top searches, from the hottest celebrity births (Eva Mendes & Ryan Gosling’s daughter Esmeralda) to the biggest viral animal stories (Raju, the crying elephant). You can check out these top trends of 2014 for yourself by visiting bing.com/trends. And if you’re feeling nostalgic, you can check out the top trends of 2013 as well.